Our store "Dhara Designs Boutique"
My wonderfully talented wife and I have teamed up to sell our jewelry, art, and other items we make as a team. We will sell it under the Store name of "Dhara Designs Boutique". Watch soon here on this website for items to be listed on the shopping page soon. I will also have items on the sale page from the combined art and jewelry I make with my wife. Look for Dhara Designs Boutique items soon. 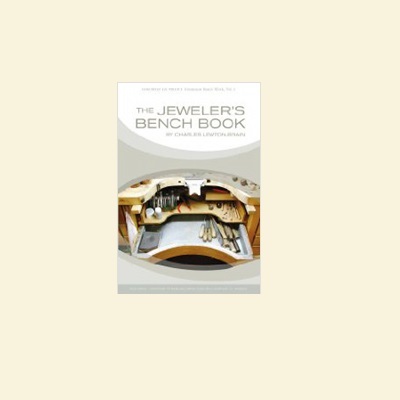 This book looks at the jewelers bench in depth, with lots of contrast and comparison. All aspects of the bench, the goldsmith's prime work area, are covered and discussed. No other book deals with this information so clearly and well. The book was informed by a survey which over 140 people answered. With tons of full-color illustrations, The Jeweler’s Bench Book covers everything from the basics of bench design to ingenious tips for tool storage and arrangement. I have no monetary interest in this book whatsoever. I have several 'hints' of my own included in this book so I encourage everyone to buy a copy.